“Asian Review 037” ― Jakarta part 4 Kota Tua and Café Batavia – Yoshimura Planning & Appraisal Co.,Ltd. If you go sightseeing in Indonesia, there are many visit-worthy places such as Bali that has the Tegallalang Rice Terraces in Ubud, Yogyakarta that has the Borobudur ruins and Komodo Island with Komodo Dragon. 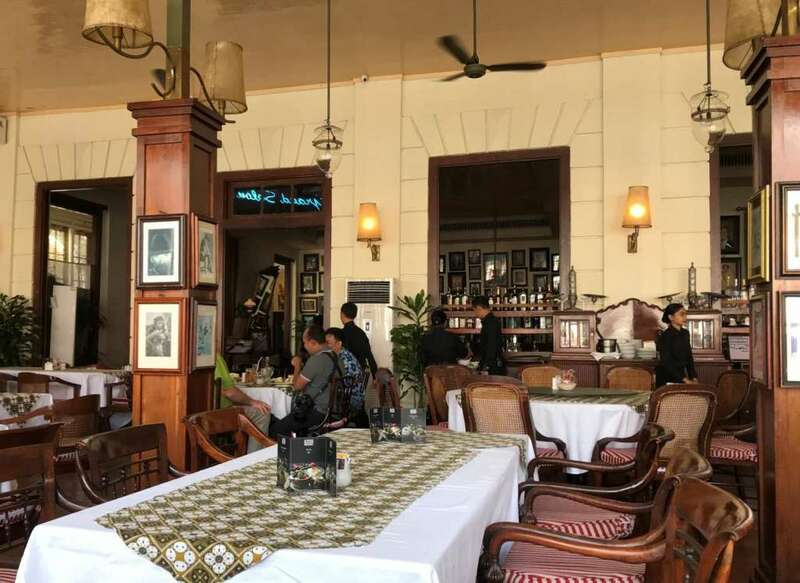 There are not so many tourist resources in Jakarta city, but when you want to spend time in a relaxing atmosphere like the colonial days, “Cafe Batavia” in Kota Tua (old city) is the best to go to. It is located in the area near Jakarta’s main street, near the port area, and has become a part of the conservation of the historical buildings built in the 17th century. It is popular especially among tourists from Europe and the United States and you can take a bus called Trans-Jakarta from every part of the city. 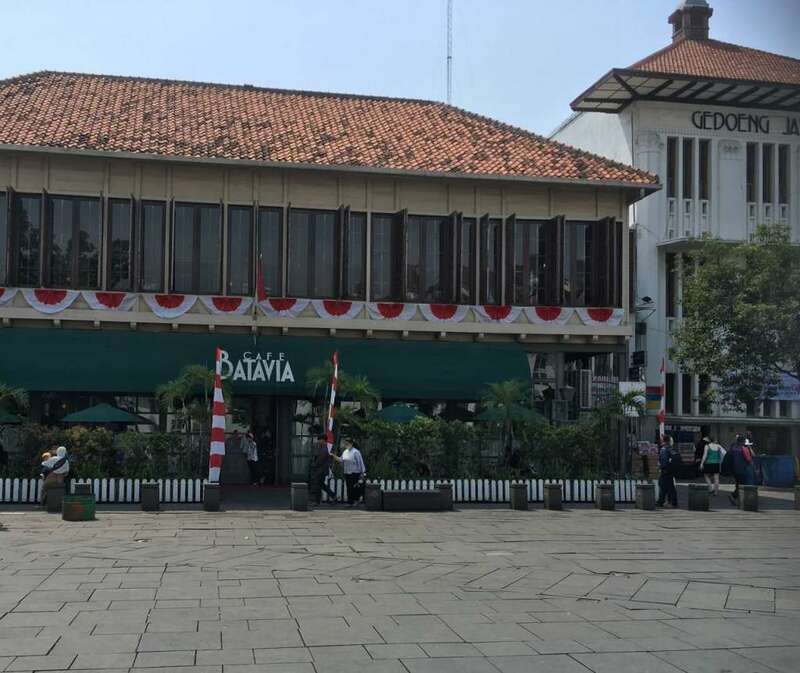 The cafe Batavia faces the corner of Kota Tua, Taman (Plaza) Fatahillah, and the interior is reminiscent of the 17th century. The variety of coffee is quite abundant. Other than the Toraja, their are about 10 coffee beans from various places such as Kalimantan and Papua. Coffee base cocktail called “Batavia Coffee” was also tasty. Lunch and dinner is also possible. Behind the celebrity’s portraits that decorates the pillars, dessert menus are drawn. The name of Batavia originated from the name of the Germanic tribe who lived in the present Netherlands in ancient Roman times, and in 1619 the East Indian Governor of the Dutch East India Company occupied this place from Banten Kingdom. He built a strong fortress and named it Batavia Castle. There was a government agency equipped with a turret in the district where the castle wall was surrounded. There was also a Chinatown, which seems to be because the Netherlands was responsible for intermediary trade between Japan and China at that time. Even now a relatively large number of Chinese are living in Kota Tua and you can find many Chinese restaurants there.